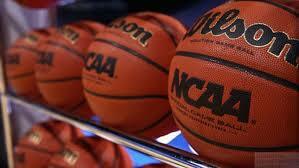 Home College Who are the most indispensable players of them all? Who are the most indispensable players of them all? Every team has a player that they absolutely can’t do without. It might not necessarily be the best statistical athlete, although sometimes it is. The indispensable player is the one who pushes the pace, makes the clutch plays, fills up the stat sheet even in ugly games, and who often seems to put on a cape and do super human things – including carrying the team. Kris Gardner, contributing writer for the HRReview; Cain Currie, a Southern-based basketball analyst; Rob Knox of Mel Greenberg’s Womhoopsguru blog; and myself each compiled lists of our seven Division I indispensable players. Athletes are listed in no particular order. Some of us chose the same players, but each of our views are unique. There is, however, one commonality: every woman on this list is a true gamer. Maite Cazorla. Photo by Samuel Marshall/Eric Evans Photography/Oregon Athletics. Cazorla averages 10.5 points per game and is second on the team in assists (5.6 per game) and in steals (1.8 per game). 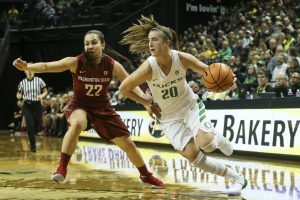 At times she directs the offense, which alleviates some of Ionescu’s ball-handling responsibilities. However, when she needs to score, Cazorla can put the ball in the hoop, as well. 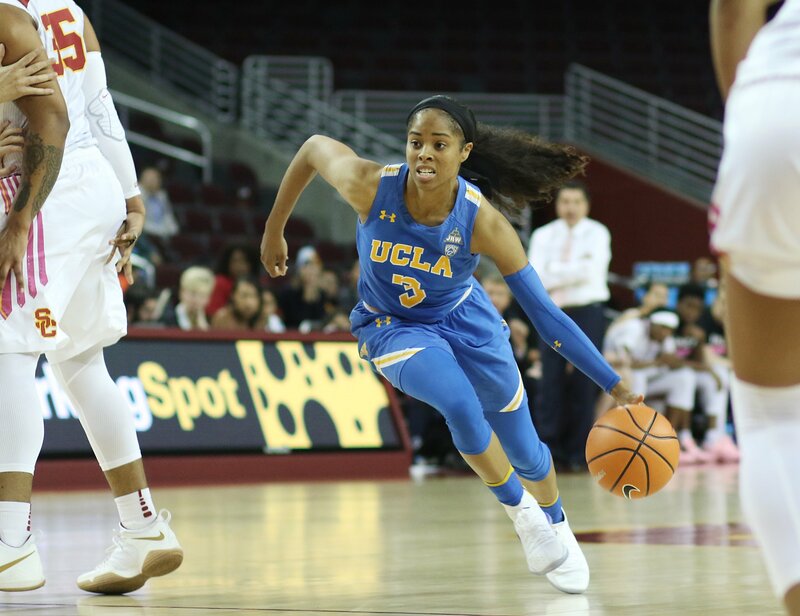 She scored a career-high 26 points against Texas A&M, and scored 18 points against USC, followed by 17 against UCLA – both wins. Cazorla does whatever is necessary to help the Ducks win, including defend the other team’s top perimeter scorer. 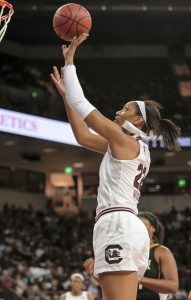 Her defense helped limit Aggie freshman scoring sensation Chennedy Carter to six points below her scoring average. Cazorla’s steadiness has been a big reason Oregon is tops in the Pac-12. Jasmyne Harris. Photo courtesy of Houston Athletics. Jasmyne Harris represents the dawning of a new era in the University of Houston women’s basketball program. 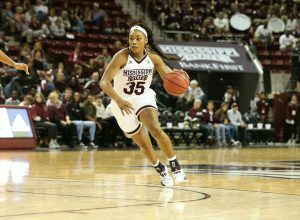 She, along with fellow sophomore guard Angela Harris, (no relation) and sophomore wing Dorian Branch, are part of a talent upgrade head coach Ronald Hughey and his coaching staff recruited and signed two seasons ago. This season Harris has emerged as Houston’s best and most important player, and she’s become the face of the program. Earlier this year she was named National Player of the Week by ESPN for her stellar performance in a come-from-behind road win over the Tulane Green Wave. Harris is a high-riser who jumps off the basketball court with ease, and her second jump is probably quicker than some players’ first jump, which helps her out-rebound taller opponents. She leads the team in scoring at 20.5 points per game, and in assists (73 total). She’s second on the team in rebounding (5.9 per game) and second in steals (2.1 per game). When she is on the bench, her absence is evident. By last month, Harris and her two sophomore teammates had helped lead the Cougars to more wins this season than they earned last year. Joyce Kennerson. Photo courtesy of the Southwestern Athletic Conference. 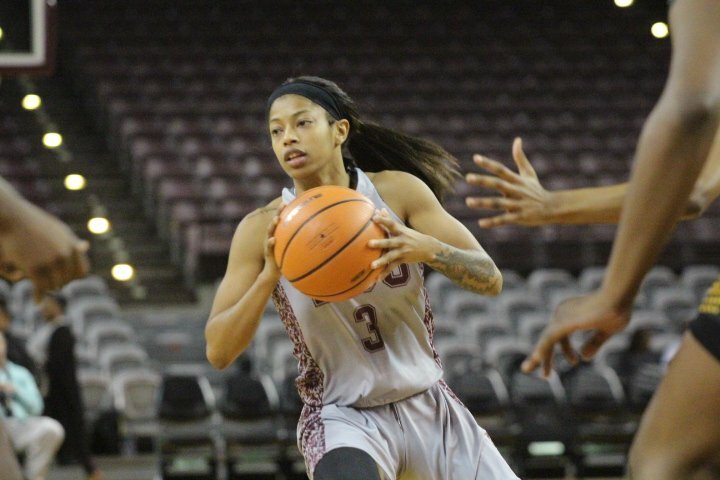 At times this season, Joyce Kennerson has been Texas Southern’s offense. When her teammates struggle putting the ball in the basket, she has shouldered the scoring load, scoring at least 11 points in all of the Tiger’s 16 games this season. She has had five 30-plus-point games. Despite being triple- and quadruple-teamed this season, Kennerson is NCAA Division I’s top scorer, at 25.4 per game. With her 4.3 assists average, she is logging roughly half of her team’s average 65 points per outing. Kennerson is also Iron Woman, having played 40 minutes four times so far, and 35-plus in another 15 matchups. Her fewest minutes this year have been 27 – and she scored 29 points. 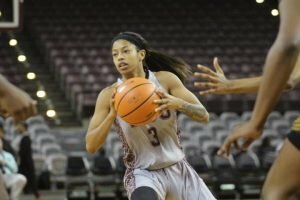 Texas Southern is holding strong in the Southwestern Athletic Conference, and Kennerson is the main reason why. Wendy Knight. Photo courtesy of Rice Athletics. Erica Ogwumike and Nicole Iademarco are the more widely-known Rice Owls, and average more points per game, but Wendy Knight is the linchpin of head coach Tina Langley’s squad. Last season Knight played and started in all 35 games for the Owls, and helped them win the WBI Championship. Knight is a major component to Rice’s great season, as she is one of four players to start every game. Her numbers are impressive: her 53.5 percent field goal shooting leads the team; she’s made the second-most three-point baskets (27) and has the second-highest three-point shooting percentage (43.5). Plus, she’s rock-solid at the foul line at 81.5 percent. 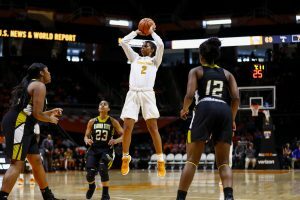 Knight has scored double-digit points nine of her last ten games, and she’s averaging 10.7 points, 3.4 rebounds, 2.3 assists, and 1.0 steal per outing this season. Her 2-to-1 assist-to-turnover ratio leads the team. She is more than a scoring threat, as she plays solid defense and seems to be in the right place at the right time, nearly all the time. Knight is the glue that helps keep the Owls together and successful. Brittany McPhee. Photo courtesy of Pac-12 Network. Brittany McPhee missed nine games this season with a foot injury. The Cardinal won six of those games, but one of those losses was at home, to mid-major Western Illinois. McPhee returned in the next game and scored 26 points versus Tennessee. Though the Cardinal lost that matchup, McPhee paced them over UCLA in the next game with 26 points. She followed it up with a 21-point outpour against USC. McPhee is averaging team-high 17.1 points per game – 25 percent of Stanford’s scoring average of 68 points per outing. Past injuries aside, she is not afraid to dive onto the floor, into the crowd or into a bench. McPhee is a physical player who makes an impact on both ends of the floor. 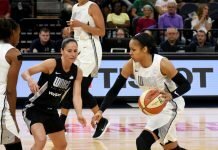 On offense, she finds ways to get the ball in the bucket attacking the basket, getting to the foul line, or draining a key three-point shot. A healthy McPhee is key to the Cardinal’s success the rest of the season. After having heart surgery, Tyler Scaife did not play last season. And without her, the Scarlet Knights won six games and finished with a 6-24 record. This season, Scaife is back with a vengeance, and her electric play lifted the team to early-season heights. Averaging 21.1 points per game, she is the proverbial straw that stirs the Rutger’s offense. A’ja Wilson. Photo courtesy of South Carolina Athletics. A’ja Wilson is one of the best players in the country, and she has had to step up in the face of injuries to her teammates. She is the only playing senior on this year’s team who contributed to last year’s NCAA Championship. 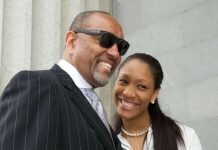 Wilson leads with her words and actions, and her importance to the Gamecocks cannot be understated. She gets double- and triple-teamed by opponents, yet still makes 57.3 percent of her field goal attempts. Wilson averages 23.2 points, 11.1 rebounds, 3.3 blocks, 1 steal, and nearly 2 assists per ball game. She has the ability to put her team on her shoulders. Earlier this season, in a 92-85 loss to Notre Dame, Wilson scored a career-high 34 points while her other teammates were unable to step up. She missed a game against Tennessee last month, but delivered an inspiring pre-game speech in the huddle. Wilson is vital to South Carolina’s success. Kalani Brown. Photo by Baylor Photography. The 6-7 junior has dominated in the post this year, averaging 21.5 points and 8.8 rebounds on a blistering 72 percent shooting percentage. She has been held to single digits just once, and has had less than five rebounds in just three games this season. 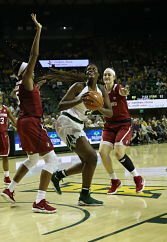 In addition, Kalani Brown is averaging 1.5 blocks per game over her career. Asia Durr. Photo courtesy of Louisville Athletics. 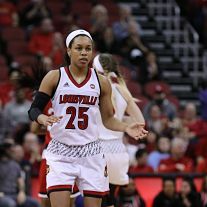 Asia Durr will not be stopped this year, nor will her Cardinals. With wins over Notre Dame, Ohio State, Michigan, Oregon, and Duke, Durr propelled her team to a 20-0 start before they suffered their first loss two weeks ago. The 5-10, left-handed junior is averaging over 21 points per game while shooting 50 percent from the three-point line and 85 percent from the free throw line. Held to single digits just three times this season, Durr put up 47 against the Buckeyes, 38 at Georgia Tech, and 36 against the Irish. Tyler Scaife. Photo by Ben Solomon/Rutgers Athletics. Sabrina Ionescu. Photo by Eric Evans Photography/Oregon Athletics. Teaira McCowan. Photo courtesy of Mississippi State Athletics. Standing at 6-7, Teaira McCowan has dominated in nearly every game this season for the Bulldogs. As a sophomore, she came off the bench and earned the SEC’s Sixth Woman of the Year Award, averaging 8.7 points and 7.1 rebounds. The Brenham, Texas native continues to improve, starting all 19 games this season, and averaging 20.9 points and 12.9 rebounds per contest. She has been held to single digits just three times on the year, and has brought down at least 10 rebounds in every game but two. The Mitchell, South Dakota native and cousin of NBA Champion Mike Miller appeared in just nine games last season before tearing her ACL. 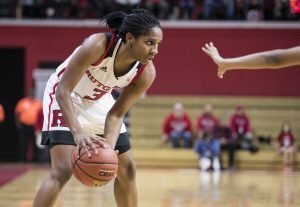 But the 6-foot redshirt junior has a lot of tough-game experience, as she led her team during her sophomore year in tight losses vs Notre Dame and Maryland before upsetting then-No. 16 DePaul. South Dakota State went on to take down Miami in the NCAA Tournament before blowing a late lead at Stanford for a chance to advance to the Sweet 16 for the first time in program history. ESPN’s second-ranked player in the 2017 class has not disappointed Tennessee fans this season. With a high basketball IQ, Evina Westbrook is leading the point for the No. 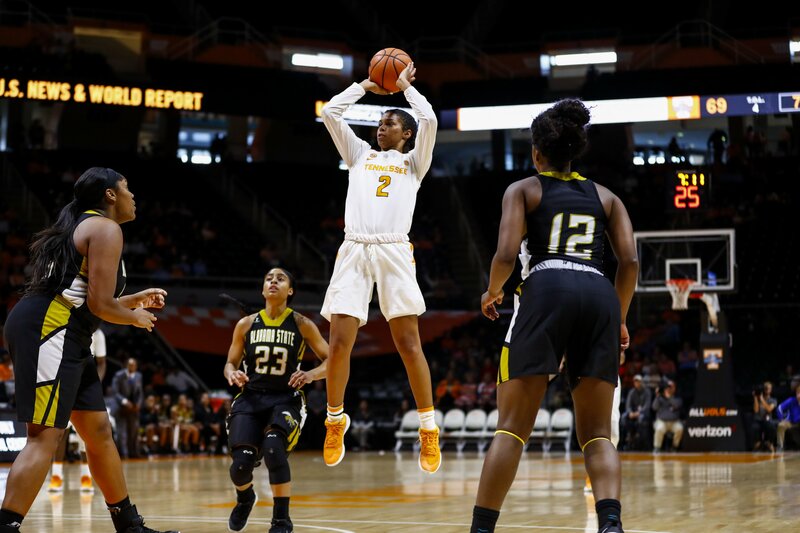 12 Lady Vols, shooting 39 percent from the three-point line and 45 percent from the floor. She is averaging 10 points, three rebounds and five assists per game, while also excelling in a lot of intangibles. Genesis Lucas. Photo courtesy of Coppin State Athletics. The dynamite, 5-7 senior is one of the least-known gems in the country. 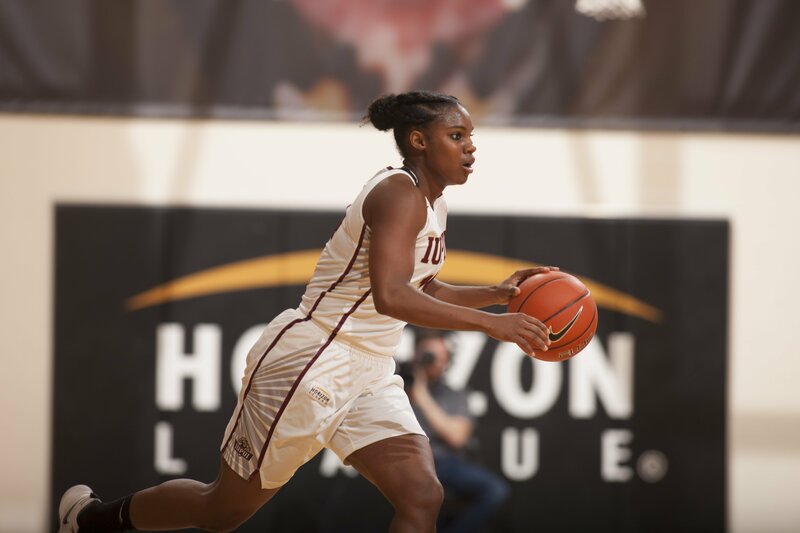 A Mideastern Athletic Conference (MEAC) Player of the Year candidate, Genesis Lucas leads the conference in scoring (18.5 points per game), steals (2.7), and assists (4.6). She has scored 20 or more points five times this season, including a 25-point outpour in the team’s season opener against Baylor. She scored a career-high 29 points against Norfolk State. But while Lucas is a scorer, she also makes sure to keeps her teammates involved in the action with quick decisions and slick passing. 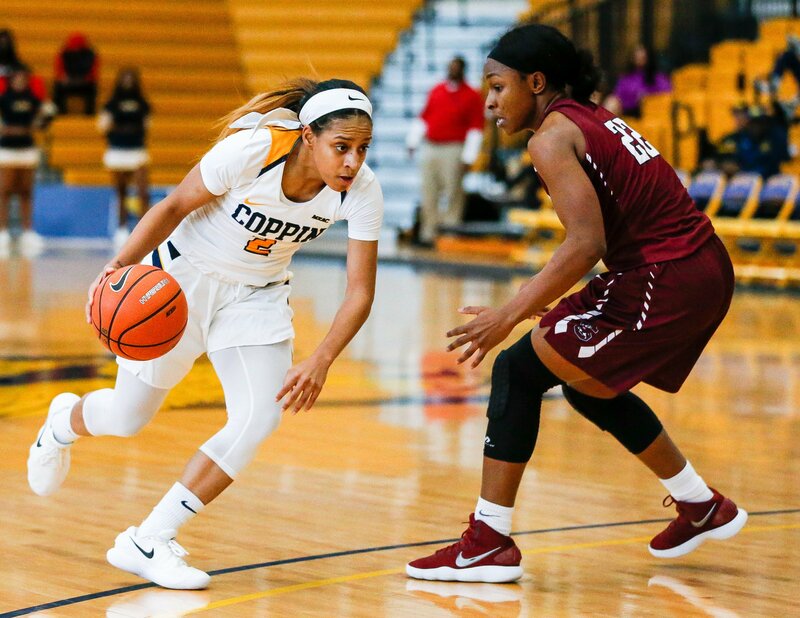 She is in the top ten on the Coppin State all-time scoring list. Now we are going to double-dip into the Southwestern Athletic Conference, as two players who have garnered national attention this season are waging quite a battle for the conference player of the year award. They are two of the most exciting players in the nation. While SWAC basketball will never be confused with the SEC or Big XII, the fact is that the next two athletes can flat-out ball. The nation’s leading scorer, at 25.3 points per game, is a 5-4 junior. Joyce Kennerson has produced points by the bushels this season, scoring 30 points or more points five times, including a season-high 35 points against Sam Houston State on 13-of-18 shooting. She also averages 4.1 assists per game. She was the 2017 Southwestern Athletic Conference Women’s Basketball Tournament MVP, and helped the Tigers participate in last season’s NCAA Tournament. Shakyla Hill. Photo courtesy of Grambling Athletics. All you need to know about the 5-7 guard is that her quadruple-double last month – the first in NCAA Division I since 1993 – earned her props from NBA champion LeBron James. 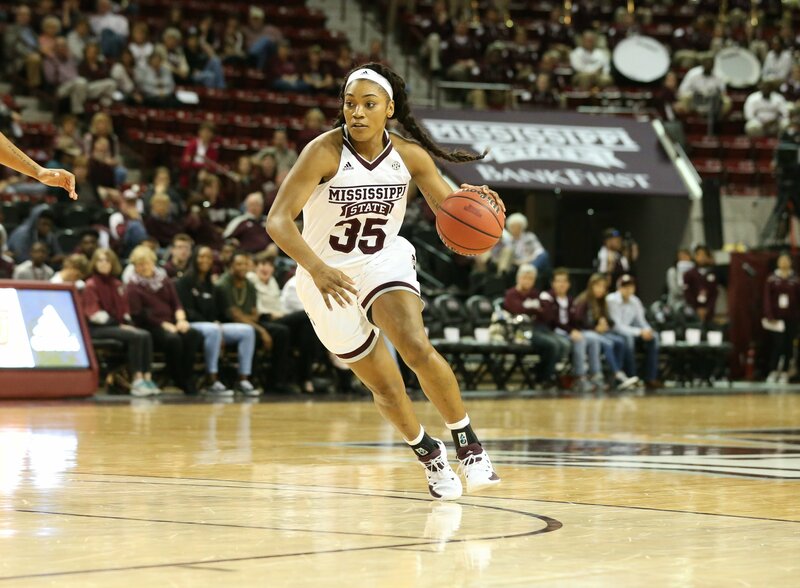 Skakyla Hill became the fourth player in DI women’s basketball history to accomplish the feat, scoring 15 points, snagging 10 rebounds, stealing the ball 10 times and dishing 10 assists to lead her team to victory over Alabama State. 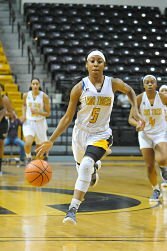 She leads the SWAC in assists (5.4) and steals (5.2). A sticky-fingered ballerina in sneakers, Hill is second nationally in steals per game. Erica Ogwumike. Photo courtesy of Rice Athletics. 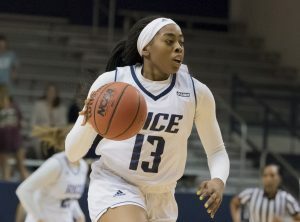 The younger sister of WNBA All-Stars Nneka and Chiney helped Rice start the season with a 15-3 record, which was the Owls’ best record through 18 games since the 1981-82 (Division II) campaign, when they started 16-2. Rice began C-USA play 3-0 for the first time in school history and won a school record 10 non-conference games. Erica Ogwumike, who sat out last year after transferring from Pepperdine, is fifth in the conference in scoring (17.3 ppg), fifth in rebounding (9.2 rpg), fourth in steals (2.18 spg), and third in free throws made (70). She had a game-high 26 points in a win at FAU on Jan. 11. Oguwmike had three straight games with 15 or more rebounds, – the first Owl since Jessica Kuster (2014) to accomplish the feat. 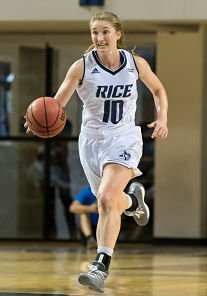 Of course, one Ogwumike isn’t enough for Rice, as Erica’s older sister, Olivia is averaging 11.7 points per outing. Carmen Grande has been the engine of the Ball State machine this season, as her leadership and superb passing has helped the Cardinals enjoy their best start in program history. She recorded her eighth double-double of the year two weeks ago after chipping in 11 points and dishing out 12 assists in a win over NIU. Grande, who ranks second nationally in assists per game (9.6 apg) and second in total assists (183), was a member of the U16 Spanish National Team. Ball State has wins over Vanderbilt, Purdue, Butler and Western Kentucky this season. Danielle Lawrence. Photo courtesy of IUPUI Athletics. The 5-9 senior guard’s stats don’t jump off the page at first glance. But Danielle Lawrence has done a little of everything to help the Jaguars begin the season with a 17-5 record. A two-time Horizon League First Team selection, Lawrence leads IUPUI in scoring with a 16.4 point-per-game average. She has scored in double figures 16 times this season, and exploded for a season-high 38 points in a big road win over Memphis, where she made six three-point shots. Lawrence is in the top 10 on the IUPUI all-time scoring list. KeKe Calloway. Photo by Judy Stapleton. 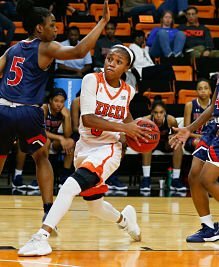 Mercer has won 19 straight games and is 22-2 overall, and KeKe Calloway is a major reason why. She is one of the best shooters in the country, and made headlines recently when she scored a career-best 40 points that included 12 three-pointers, against Furman. Prior to that game, Calloway dropped 34 points against Wofford. With seven regular season games remaining, she has already set the program single-season record for made three-point shots, with 78. Her 18 point-per-game average is second behind Kahlia Lawrence, whose average is 19.5. The opponent-wilting duo of has helped the Bears win the majority of their games by double-digits. Jordin Canada. Photo by Maria Noble/WomensHoopsWorld. Jordin Canada’s will to win has propelled UCLA to many wins in her four years as starting point guard. The 5-6 powerhouse, jaw set, will crash into the paint and put in an improbable layup. She will dive to save a loose ball from going out of bounds, and sometimes out-rebounds taller players. She dishes assists like a waiter when she’s not working as a pickpocket, and all with a seeming-magician’s touch, zig-zagging up the court like she was born with a basketball in her hand. Canada recently topped 1,800 career points, 700 assists and 300 steals – the first in the Pac-12 to make such a mark. She averages 15.7 points, 6.52 assists, 3.7 rebounds and 3.26 steals this season. The Bruins would not have been to the last two Sweet 16’s without her. Channon Fluker. Photo courtesy of CSUN Athletics. Junior center Channon Fluker’s player resume reads like a bar exam. She topped the 1,000-point career mark the first week of this season, and broke the school blocks record with 13 the following month – the same night she notched a triple-double. 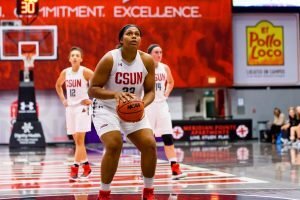 Fluker has averaged a double-double since she first took the court for the Matadors, and has been named Big West Player of the Week 12 times – one short of breaking the record. A difference-maker on both ends of the floor, Fluker has carried the team on many occasions. She has 46 career double-doubles in 80 appearances, and currently averages 20.5 points and 12.5 rebounds per game. Statistics don’t begin to tell the story of Victoria Vivians, who has been a star since she came to the program. A guard, she has the size and strength to post up as a forward, which is likely the reason she is playing the four position this year. Yet, she also has the ability to take opponents off the dribble and hit the three-shot. Last season Vivians tallied 633 points – the eighth-most in school history. She averages 19.6 points per game currently and shoots 50 percent from the field due to improved shot selection and decision-making, which has turned her from a high-volume shooter to an efficient scorer. Vivians also comes up big in clutch situations, and is a true team leader. Katelynn Flaherty. Photo courtesy of Michigan Athletics. 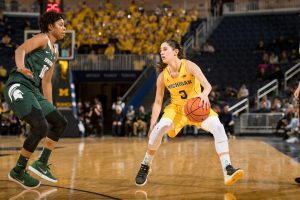 Two weeks ago Katelynn Flaherty became Michigan’s all-time leading scorer, hitting 2,478, which surprised even her coach. She is averaging 23.3 points and 4.1 assists per game. Flaherty has the ball in her hands a lot, but even when she doesn’t, she moves fluidly. If she gets an open look, it’s money in the bank. She finishes well around the basket – not just for her size but for anyone, period. Any team playing defense on Flaherty has to worry about her at all times. 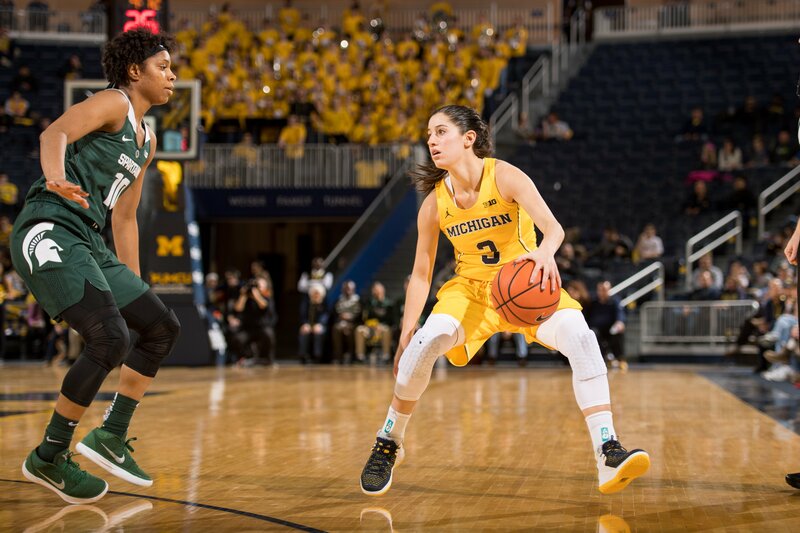 She works tirelessly on her craft and has improved greatly during her time as a Wolverine. She is confident, fun to watch, and essential for her team. Extraordinary accuracy and consistency have made junior Megan Gustafson a beast on the court, and on the stat sheet. 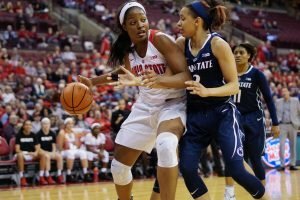 She is ranked in the top seven nationally in eight statistical categories: she leads the nation in field goals made (207); ranks second in double-doubles (20) and field goal percentage (66.1); third in total points (527); fourth in points per game (24.5); sixth in defensive rebounds per game (eight); and seventh in rebounds (271) and rebounds per game (12.3). 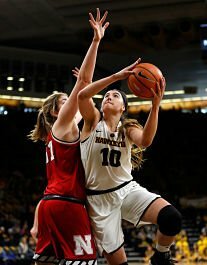 What’s more, Gustafson has continued to perform at a high level despite injuries to Hawkeye guards, which means different people are feeding her the ball. 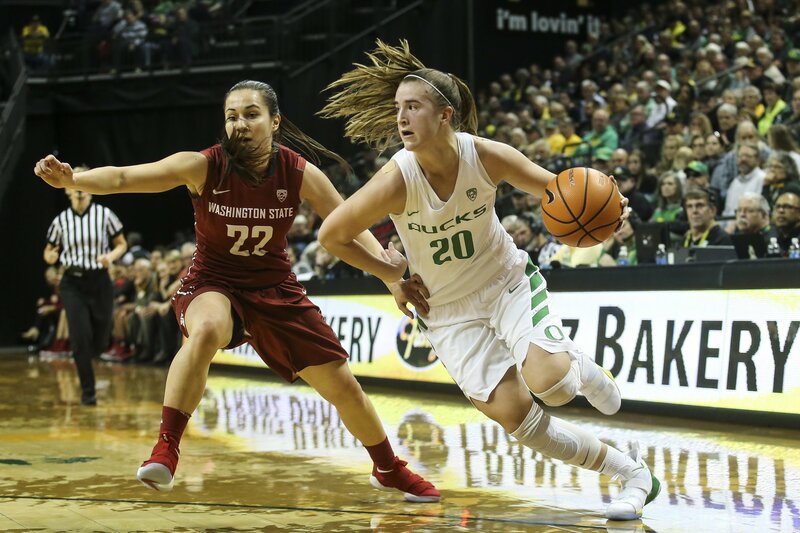 Versatility is also part of Gustafson’s cache’, as she has immaculate footwork under the basket but also likes to break away in transition and run the court. She is hard to stop, and the Hawkeyes rely on her. Stephanie Mavunga. Photo courtesy of Ohio State Athletics. Last year, 6-3 forward Stephanie Mavunga became the third player in Buckeye history to average a double-double, with 11.4 points and 10.8 rebounds per game. This season, after cleaning up her diet over the summer, she is averaging 16 points and 10.8 rebounds each outing, and is even more dominating in the paint than ever. Mavunga averages 2.2 blocks per game, shoots 60 percent from the field, and takes up the slack when others are having an off game. The sky is the limit for sophomore Sabrina Ionescu, who tied the NCAA Division I record for triple-doubles in December, with eight, and got one more to break it the next month. The Northern California native has a diverse skill set that plays out on both ends of the court. She can take over a game, carry her team and showcase her creativity, all while remaining consistent. Ionescu, who has started every game of her college career, averages 19.9 points, 7.6 assists and 7.1 rebounds on .465 shooting from both the two- and three-point line. She is hard to stop, but her defense can shut opponents down. 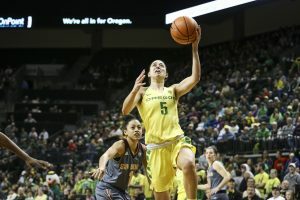 Ionescu is a hard worker, and she and her teammates want to taste more NCAA Tournament glory after last year’s Elite Eight appearance.